Guidebook Says: A path that runs down the main part of campus is the main artery of social and academic life on Penn’s campus. The journey from the High Rises to College Green will expose to some of Penn’s more picturesque scenes. Reality Says: A path that tests your ability to remember peoples’ names and look them in the eye as you walk by them and mutter “hello” too late and then turn around and yell “HELLO” at the same person and then find out you didn’t know the person in the first place. 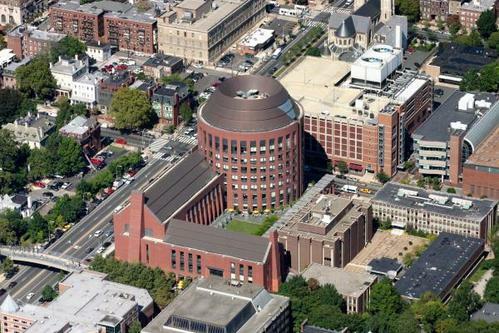 Guidebook Says: The newest building for the Wharton School, this serves as the hub for Penn’s business school students. However, students of all schools may take advantage of its extensive facilities. Reality Says: A good place to go if you want a sneak peek into what statistically speaking will probably be the rest of your life. People in suits, conversations about networking, escalators, working overtime, differentiation based on currency. Also, while we’re on the subject, if you’re not in Wharton you had best not come in for anything except a behavioral lab. There’s a reason only people with a Wharton ID can log onto their computers. 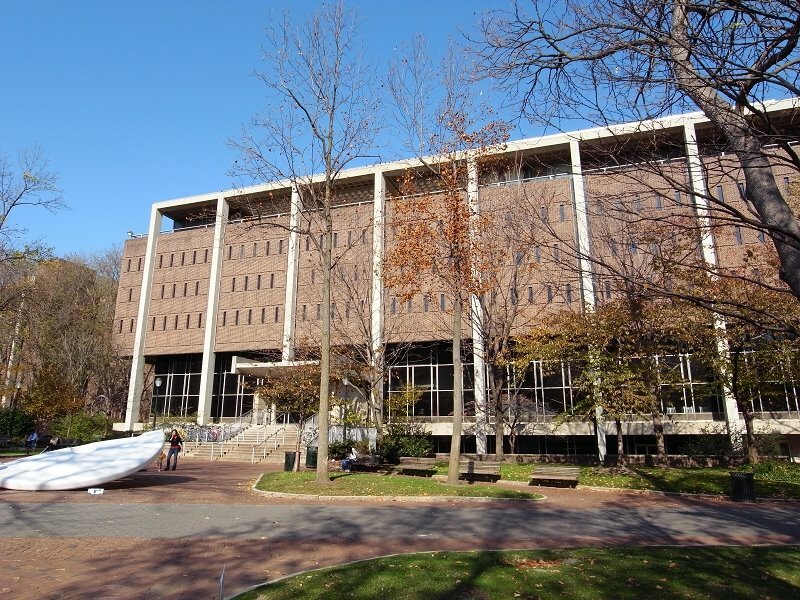 Guidebook Says: As the main library on campus, if you need a book, it’s probably here. It is also a favorite study spot amongst undergraduates. Reality Says: The best place to walk into with a backpack filled with books and a head filled with an inflated sense of purpose to only then go into the basement, look for people you know, take photos with inane hashtags, and watch gifs that illustrate activities you would rather be doing. Guidebook Says: One of the buildings farther away from the center of campus. 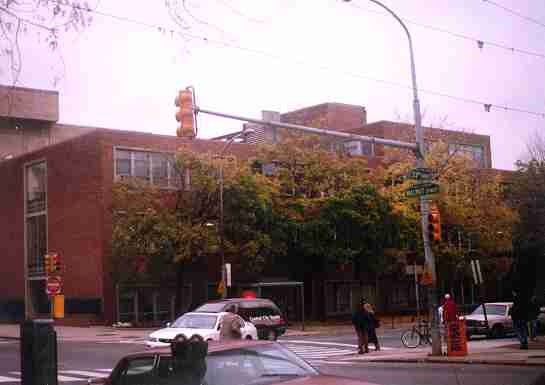 However, only math and science classes are held there, so it can be avoided if necessary. Reality Says: No. You can never avoid DRL. You can try, but it will always find you. Find you in an unsuspecting history class or a sector requirement you never realized you had to fulfill. DRL will find you and will have you roaming lost amongst its hallways and elevators because in DRL, nobody can hear you scream. 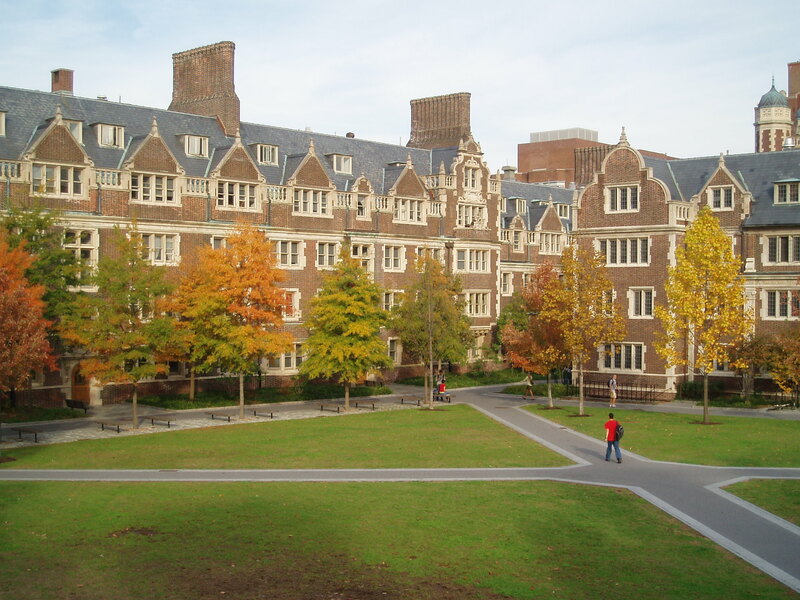 Guidebook Says: A beautiful complex of dormitories that engenders camaraderie amongst the freshman class. Spring Fling and other events hold festivities in the area and it remains a symbol of quintessential college life. Reality Says: An intricate maze of locked, dirty and broken toilet systems punctuated by rooms that smell of either sweat or rotten marijuana. The quad will at first be your best friend, but as the months go on it will begin to talk behind your back, start fights with other people and eventually slap you hard across the face. By the end of the year you and the quad will be happy never to see each other again. 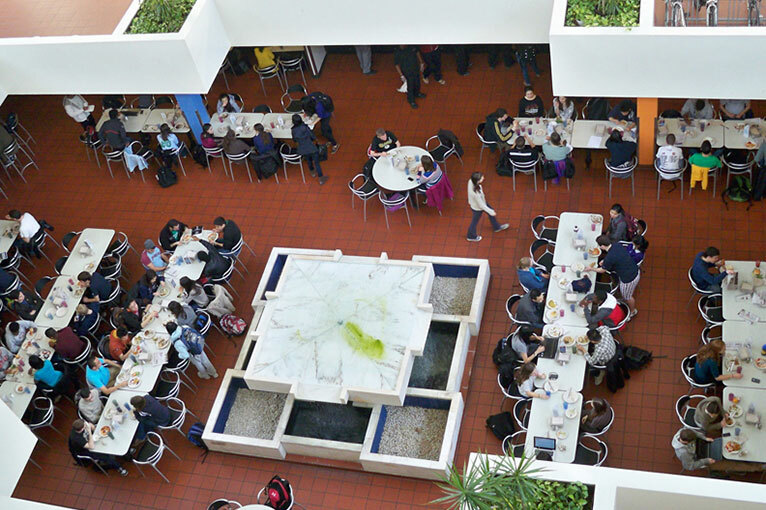 Guidebook Says: One of the main cafeterias on campus, located at the bottom of Hill College House. Reality Says: Memorable for many students if only for it being their first instance of food poisoning. It is also cited as the institution most responsible for the profits of other restaurants in the area. It is, however, a fitting cafeteria for the dorm within which it is situated. 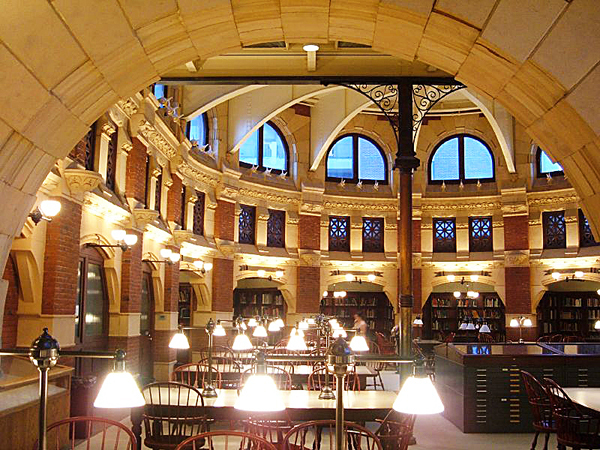 Guidebook Says: One of the most beautiful buildings on campus, perfect for silent studying. Reality Says: Where you go once you’ve realized you’ve run out of viable places to study and you’re convinced that somehow the quietest place on Earth will subdue all your tendencies towards procrastination only to then find that the intense solitude and silence of the place is driving you so crazy that you’re watching YouTube videos from 2006 with old headphones you found at the bottom of your backpack. Next Graph: Why Is There Hair On That Guy’s Sweater?